Our living room has become a graveyard where mid-century furniture goes to be resurrected from the dead. (note to self- when the weather gets warmer, I will be cleaning out our garage to make it my "studio" aka where I paint and hold furniture). I have to admit - I love having a booth. 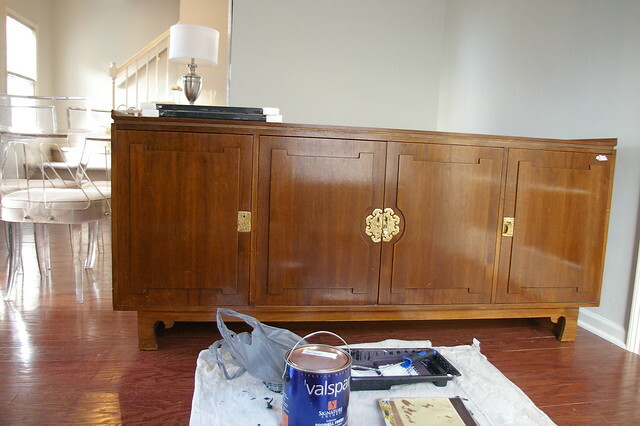 It makes me incredibly happy rescuing amazing pieces of furniture that people have tossed to the curb and giving it new life and a new home. Let me tell you the story of these chairs I'm about to show you. Yesterday I stopped into a thrift store and these babies were sitting there. I just about ran over to them and searched for a tag to yank off. There wasn't a tag! I figured they had been sold but I had to ask anyway. After hovering and talking to not one, but two employees, I found out there was a table that was being sold with the set, and there was another man who already claimed it and was waiting for the table to be delivered. The man saw how much I loved the chairs, and worked out a deal with me. He bought the whole set and sold me the chairs. He was an antiques dealer and was a really nice guy. He did make a nice little profit right there in the thrift store, but not as much as he could have if he had kept them. The upholstery is in PERFECT condition. It's cream small-scale patterned microfiber. 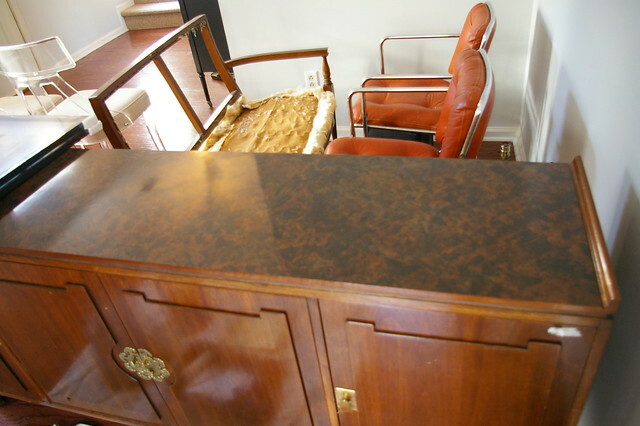 If you see, the top is a faux-burl wood laminate. It's pretty ugly. I'm going to have a glass top made and gold leaf underneath it (very similar to what Jenny is doing with her glass fronts here). All these items will be going into the booth at Slate as soon as they get their TLC. 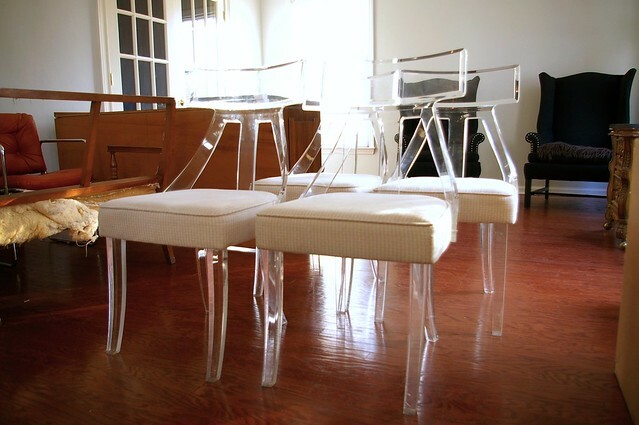 The lucite chairs are amazing - among the prettiest I've ever seen. And as perfect as the upholstery is, they would look even better with another fabric!! But if you're reselling, then certainly not worth it. I saw a cabinet like yours recently in a turquoise lacquer finish - it was incredible!! 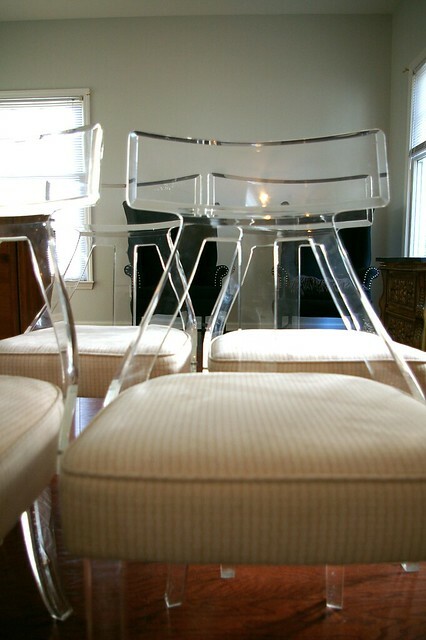 I am speechless about the lucite chairs...for real. I "thrifted" all day yesterday with a friend and did not find anything! You can probably charge so much for those chairs it will pay for you future kids college education. The other things in your LR are pretty cool also. Umm yum! I love going out and dreaming of home wonderful finds like these. I've got a pretty ridiculous collection of vintage and bringinghomegoods lamps - my husband swears if I bring home another lamp he is leaving! He wouldn't really leave but I have stopped brining home new lamps - how amazing would it be to have a warehouse to keep all the wonderful finds you come across?! Those latest chairs are IN.SANE! If your living room is a graveyard, it's definitely where I want to be buried! Oh my goodness! Those chairs are A-M-A-Z-I-N-G! What an incredible find! If I lived in NC I'd totally buy them as soon as you put them up for sale! You have some incredible finds! I have been visiting for a while now and finally became a follower. Not sure what took so long as i have so enjoyed your blog. What a great find!!! 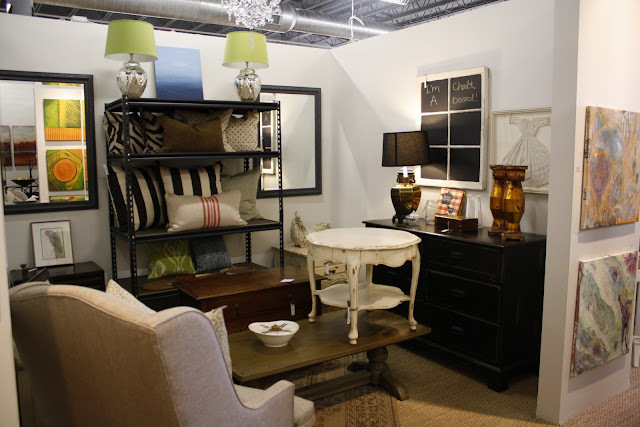 I wish I had an extra space in my house for a furniture graveyard we have no extra room so I have to pass up so much stuff on craigslist and in vintage shops- your booth in Slate looks great, if I lived in NC I would come visit! Unfortunately I'm not offering shipping for these chairs. They are INSANELY heavy!! I do not own a van. I wish! I have an SUV. I had the large piece delivered to me. haha you guys are killing me!! But alas, I will be selling them. I will confess I tried them in my dining room though - they didn't really go. I gotta sell or else I'll be a hoarder of furniture haha! You have a LOT of great pieces! I am in love with those lucite chairs. No WAY! If I'd found those chairs, and if they'd be sold to me, I'd drive home and blog about them as fast as I could to. You cannot let go of those! How do you let go of anything you find? That must be the hardest part of having a shop. Are you kidding me with those beautiful chairs!!!!!!! I'm actually dying they're so gorgeous. KEEP THEM! Oh. My. God. Those are beautiful chairs. I'm so jealous right now. Can I buy the lucite chairs from you?????? Don't even need you to fix them up. How much for shipping to NJ? 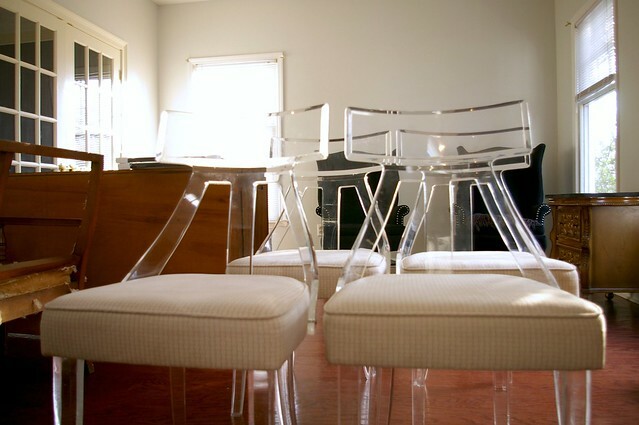 WOW - the lucite chairs are to die for! Love the cabinet too. Can't wait to see them after you work your magic. Those chairs are AMAZING. The stuff that thrift store hunters dream of! 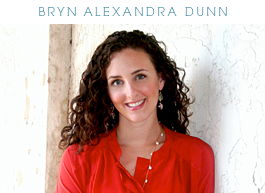 Geez Bryn I'm green w/ envy. 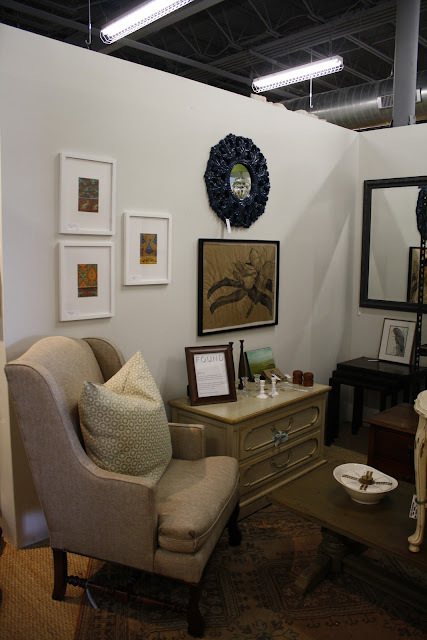 Forgot shopping the booth, lets just browse your living room. Those chairs are amazing!! I may need to make a trip to Charlotte!! 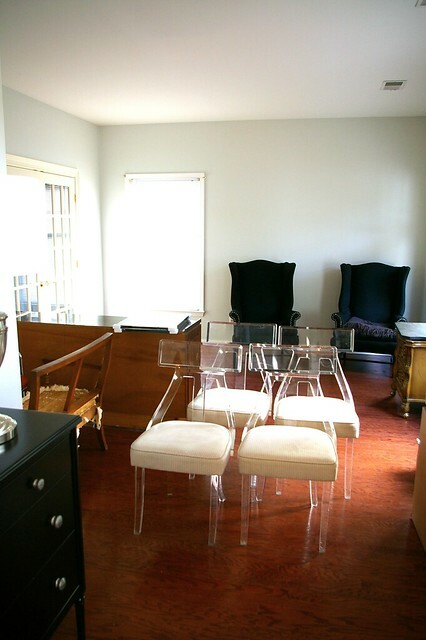 If you don't keep those lucite chairs for yourself, I will stop reading this blog. They need to go in your kitchen. But then again, if I know they are in your house, I may have to turn into a cat burgler and come over some night when you guys are sleeping. What to do?! 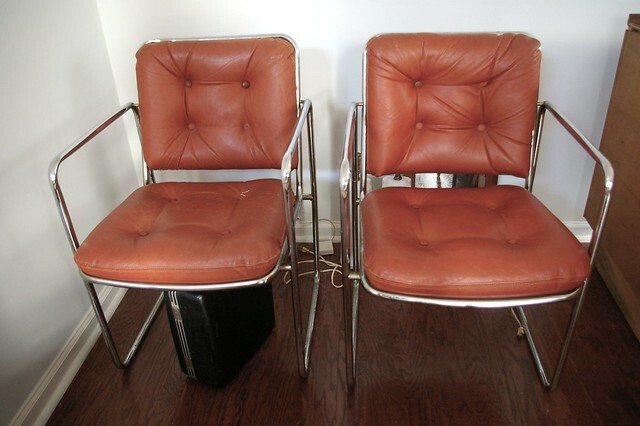 Those are all amazing finds, but the chairs literally made me gasp. LOVE those chairs. I'm an addicted thrifter myself and I wouldn't let those go with out a fight either haha. Wonderful finds! Amazing find!!! Has re-inspired me to go thrift shopping more often! Wow! Those chairs are awesome!! What a score. ohmygosh, those chairs!! If I lived anywhere near Charlotte I would be there in a heartbeat to pick them... something tells me shipping to Canada might be a bit pricey ; ) How badly do you want to keep them? Oh wow, you are worse than me! I too have a ridiculous collection of thrifted mid-century finds. At least you have a booth to sell them at. What a great resource! I wish Philadelphia had a similar set-up. I would love it if my living room looked like that! 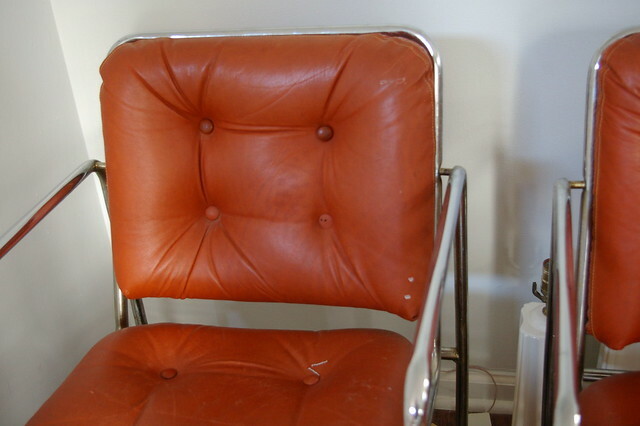 I not-so secretly want to re-upholster everything I see haha. Those lucite chairs are so awesome! And how sweet of that man to sell them to you? LOVE the chairs! I too live in Charlotte and would have loved to have run across them. Where is your booth?